Leading British luxury motor yacht manufacturer, Fairline Yachts, has enjoyed a long and illustrious history, remaining one of the major global players in the luxury boating market for the past 49 years. Its continued commitment to new product development, engineering and enhanced customer relations have seen the company thrive and develop, with Fairline never straying from its roots of class-leading designs, exceptional engineering and attention to detail – all making it the iconic global brand it is today. With a long-standing international recognition for its award-winning range of designs, it embraces advances in both technology and style. Always remaining true to the Fairline DNA, it produces industry-leading models that pair space with sophistication. Its brand legacy is one of care-free adventure for all who step aboard. 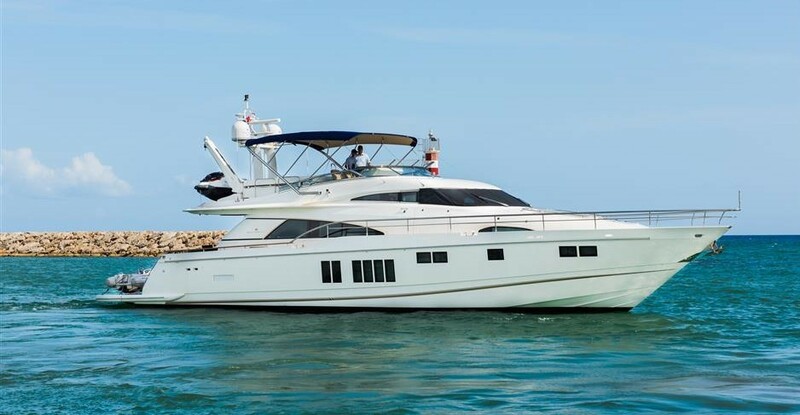 Buying a Fairline: We offer used Fairline Yachts for sale worldwide, including Fairline Phantom, Fairline Targa, Fairline Sqaudron, Fairline Corsica models and more. Contact our sales professionals for immediate assistance. Selling Your Fairline: With a team of experienced yacht brokers and marketing professionals, we will employ a comprehensive marketing approach to ensure your vessel receives maximum global exposure online as well as exposure in person at major boat shows. Learn more about how SYS Yacht Sales will help to sell your Fairline yacht!